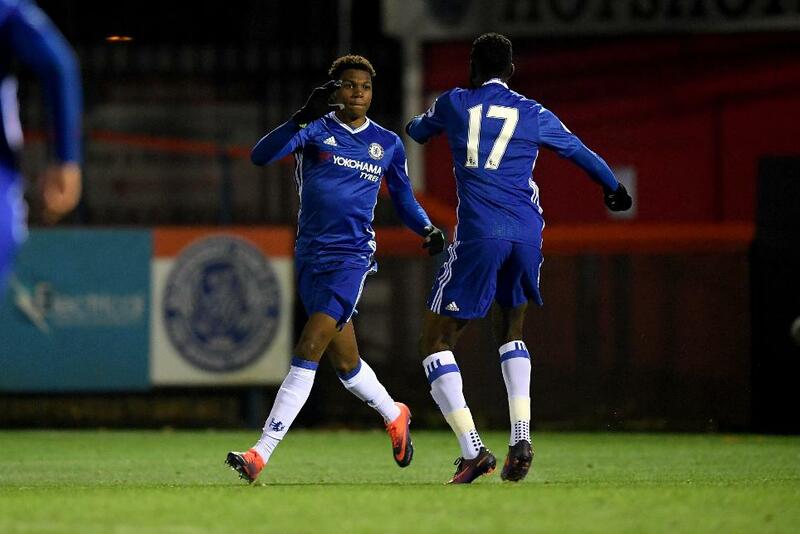 Dujon Sterling and Fikayo Tomori struck in the final six minutes as Chelsea came from behind to beat Feyenoord 2-1 in their opening Premier League International Cup Group D tie at Aldershot. Turkey Under-21 international Bilal Basacikoglu, one of several first-team players in the visitors' line-up, gave the Dutch side a 12th minute lead, but on the hour mark he was sent off after collecting his second booking of the night. The Blues took advantage in the 84th minute when substitute Sterling equalised and within 60 seconds Tomori put them ahead. The result, Feyenoord's second successive defeat, puts Chelsea second in the group, a point behind Swansea City with a match in hand and two ahead of Dinamo Zagreb, who have also only played once. Chelsea's next group match is at home to Dinamo on Friday 16 December at Aldershot, where a week earlier the Blues play their next Premier League 2 Division 1 match against Manchester United.